Since I joined the crypto world a few years ago, I’ve always had this feeling that we’re in the wild west. There are no rules, no regulations and penalties are very hard to enforce. I’ve watched scams unfold, people loose money, and con men get away with stealing digital assets. I’m talking about the ICO rush of 2017–2018. Ethereum gave the start for all these ICOs, and most of them were performed on the ETH network. In the last 1.5 years, there have been roughly 1900 ICOs which raised a total of $12.7B . In 2017 alone approximately 80% of ICOs were identified as scams in a new study performed by the Statis group, by observing the journey from the initial ICO proposal to the listing and trading on an exchange . The study found that 4% of ICOs failed, and 3% had “gone dead.” ICO death was recognized when the token was not listed on exchanges for trading and has not had a contribution on Github for over 3 months. In the past 6 months, the number of ICOs has steadily decreased, and it seems that a discussion about regulating ICOs is starting, as the U.S. SECURITIES AND EXCHANGE COMMISION issued a public statement regarding ICOs in December 2017, in which it warns individuals to be wary of scams . Recently, Google , Twitter  and Facebook  have banned ICO advertisements in order to protect their users from digital asset scams. And here we find ourselves again. Tron main net was launched for over a month, making it very easy for anyone to start an ICO through tronscan.org . As a result, the number of tokens on the Tron network have increased at an alarming rate. It feels like the gold rush all over again. And one of the tokens is actually called TronGold. 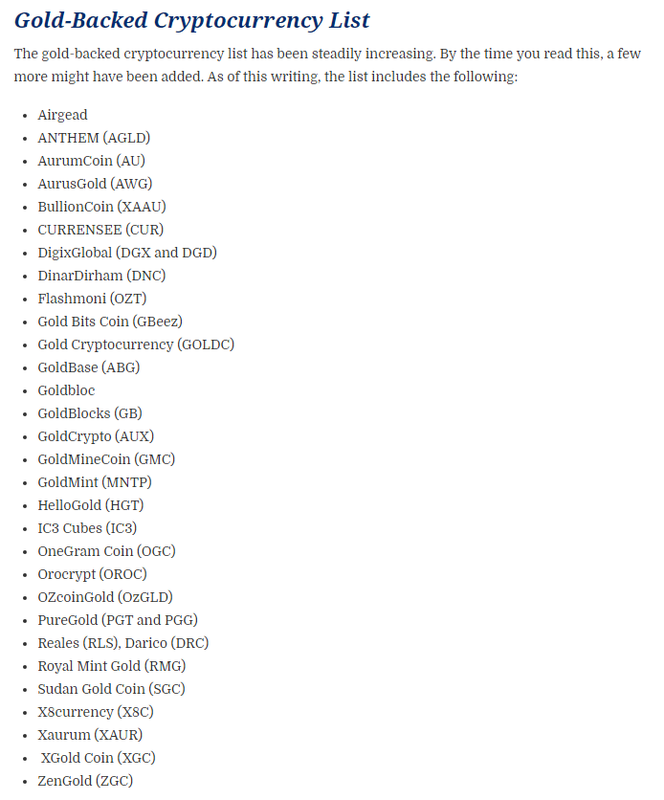 A quick google search will show you an impressive number of tokens which have “Gold” in their name, including a TronGold on the ETH network. One of the main reasons people think it’s a good idea to add words such as “Gold”, “Diamond”, “Platinum” etc. in their digital asset names is because of associative advertising. Associative Advertising is a way in which marketers get their intended audience to buy their products by appealing to non-market desires. Non-market desires can range from need to belong, being cool, socially accepted, sexually appealing, aesthetically beautiful and so on and so forth . Adding “Gold” in a digital asset’s name will make people assume it has high value, or that it is an exclusive asset. The assumption is most of the time made at the subconscious level by people who don’t know these types of marketing tricks. Disclaimer: I had a private chat with the founder of TRONGOLD and asked for clarifications. Everything he told me in that discussion was on record and is published in this article. Use case: I’ve been searching for a whitepaper for this project. I was unable to find one. The only use case I can find for this digital asset is the fact that according to the founders, it was created to represent “ a store of value which represents the total amount of mined gold on earth”. The tronscan.org token description mentions that 1 Trongold = 1oz of real gold. In a private discussion, the founder of Trongold told me that “TRONGOLD won’t be backed by gold, I can 100% tell you that”. He then proceeded to inform me that “…it will be used in the transaction for another token which will be 100% backed by gold.” He asked me to keep this a secret because it has no been announced, and that they are in the process of “legalities in regards to gold laundering laws, wallet holder requirements, tax laws, a whole range of things”. First of all, the project created each TRONGOLD to represent 1oz of real gold. This will never happen, as informed by the founder of TRONGOLD. Even if it was one of the project’s objectives, linking all the mined gold to a cryptocurrency is impossible due to the fact that it is scattered throughout the planet, with different owners, which need to be contacted and included in the project. 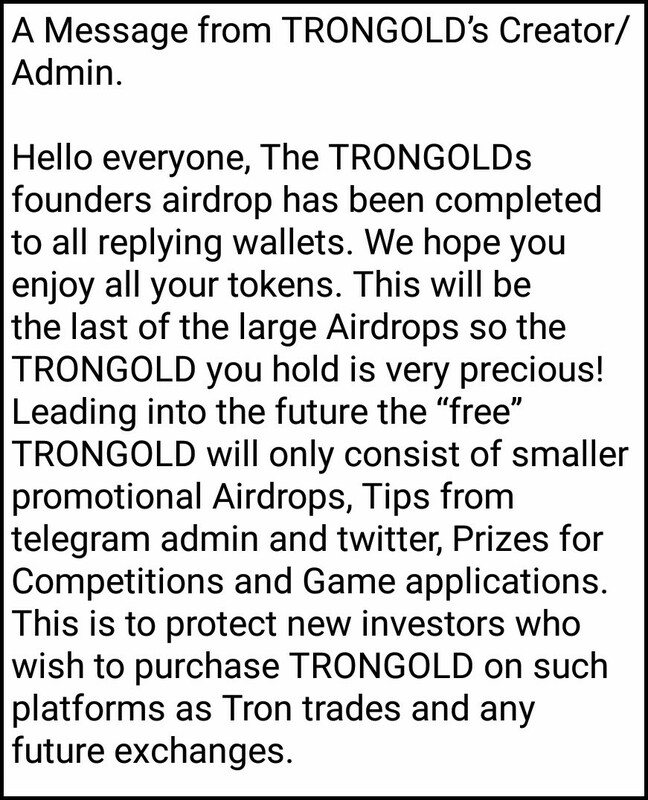 Second of all, I asked for clarification regarding the use of TRONGOLD in transactions for another token that will be 100% backed by gold. I was not given one. The founder of a project who’s digital asset is backed by gold would have nothing to gain by allowing a token such as TRONGOLD to be transacted for theirs. This would literally devalue their digital asset which is already backed by something that has value. Third of all, confidentiality is a great thing to have. However, there is a big difference between confidentiality and keeping all your community in the dark. Confidentiality can protect businesses from their competition in a highly competitive market. In the case of TRONGOLD, there is no competition and no market since TG will not be a digital asset backed by gold. Technology: Sadly, there is no mention of any technology for this project. According to my discussion with the founder of TRONGOLD, they “… are about to start the dev of a app to be published on Google Play to give TG token a small use. But all these are all treading water projects before our lager ones are announced”. In this moment there is no technology for this project. Team: No information about the TRONGOLD team was found. I asked the founder of TG in private for information about the team, but he avoided the question entirely. Objectives: This project has no objectives. I asked the TG founder for additional info regarding project objectives. No additional information was provided. Potential market size: The average gold daily trading volume worldwide is approx $200B, but all these transactions include estimates on over-the-counter (OTC) transactions, and published statistics on futures exchanges, and gold-backed exchange-traded products . I was unable to find a study that isolated physical gold transactions from the rest of gold derivatives. The current value of gold in the world (market cap) is approximately $6.65T . However, none of this really matters, since TRONGOLD is not and will not be paired with physical gold. Implementation: The reality is, there is nothing to implement here. Except the rumor of developing an app/game in which you might be able to win some TG, there is nothing else to implement. Liquidity: Liquidity is one of the stronger points of this digital asset. Although TG is not listed on any exchanges and a DEX is not yet operational on the Tron network, the token is quite popular in the Telegram channel Tron Trades @tronTrades . It seems that a lot of people are accumulating TG at the moment based on the promises of the founders that this token will be extremely valuable in the future. People are paying real money for this digital asset, even if the founder said that “this is a free token”. People might receive the token for free, but the FOMO strikes and people want to buy it, making the price go up. Who benefits? People who hold large amounts of TG and the founders of course. It baffles me how some people will use their hard earned money to buy a digital asset that has no information about who created it, what its founders do and what their plans are. 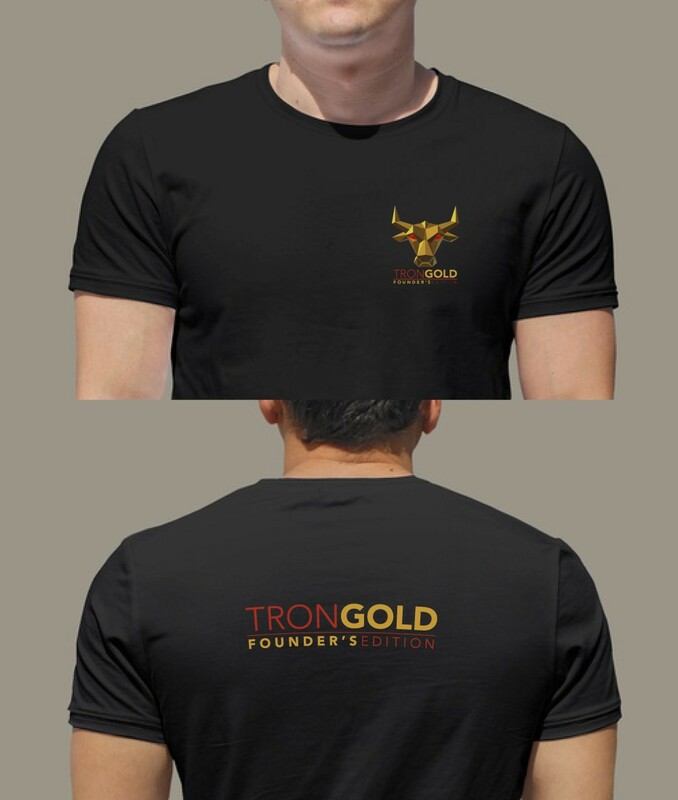 Besides selling their T-shirts for 900 TRX, investing in marketing, giving away TG like it’s worth nothing but promising that it will have a great value in the future and promising to build apps, the founders of TRONGOLD have nothing concrete to show. I am looking forward to be proven wrong. If there is any information that can prove that this is a legit project with partnerships and tech development being done behind the curtains, I kindly ask the founders to announce it on their channel.